Telangana Police Constable, SI Exam Dates 2018: TSLPRB has released Dates of Preliminary Written Test for Constable, SI, ASI and FPB. Already we know that Telangana State Level Police Recruitment Board Announced direct recruitment notification to fill about 18428 posts. 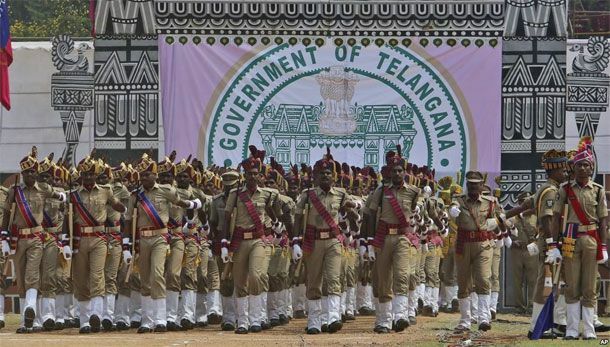 Telangana State Level Police Recruitment Board is the government police department of Telangana state. The board works for the recruitment of suitable candidates into various police posts in the Telangana police department. The TSLRPB has hosted a job notification for a large number of posts this year. Recently, it has announced 18428 Constable and Sub-inspector posts. This process will be permissible as regards the information received through e-mail communication given from the respective registered e-mail addresses of the Candidates to support@tslprb.in till 5 pm on 14th July 2018 (Saturday) only and thereafter no changes / modifications shall be allowed. ALP exam also conducted those days how can wrote 2 exams at a time it impossible…. how will conduct telangana state …..
DEAR ANIL KUMAR,IF U WANT TO WRITE BOTH EXAMS,U HAVE ONLY ONE OPTION.AS TSLRB BOARD CLEARLY SAID IT WON'T POSTPONE SI EXAM AT ANY COST,U HAVE TO FILE A COMPLAINT AT GRIEVANCE CELL AT TSPSC@SECRETARY.WHEN CONTACTED TSPSC,THEY TOLD DEPENDING ON NO. OF REQUESTS,THEY WOULD CONSIDER POSTPONING ASO EXAM.